Home→City / Town Management→The witching hour – Who makes the rules regarding trick or treat? The witching hour – Who makes the rules regarding trick or treat? It is the nation’s second-largest commercial holiday, one that Americans spend an estimated $6 billion on annually. Although Halloween is rooted in the 2,000-year-old pre-Christian Celtic festival honoring the deceased, it has evolved over the years, and today is most commonly associated with a legal door-to-door panhandling practice known as trick-or-treating. 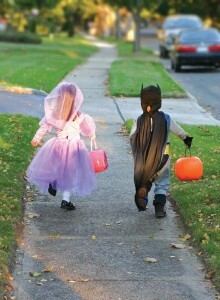 Trick-or-treating was firmly established in American pop culture by the early 1950s, but its origins remain elusive. Traces of the costume and candy exchange we enjoy today can be found in a number of cultural and religious practices, including Samhain, All Souls Day and Guy Fawkes Night, that eventually made their way across the pond and helped popularize All Hallows Eve or Halloween in America by the 1840s. However, by the early 20th century the most popular activity associated with Halloween was vandalism, which caused as much as $100,000 in damages to major metropolitan cities each year. The problem became worse during the Great Depression, causing civic leaders to create an organized, community-based event in hopes it would curtail the damage. Although the practice was curtailed in some communities during World War II due to sugar rationing, trick-or-treating regained prominence during the post-war baby boom and has been a standard part of the celebration ever since. In recent years, however, concerned citizens have began to wonder what are the official rules regarding trick-or-treating in their communities, and more importantly, who decides? Virginia is one area of the country with ordinances concerning Halloween revelers. Breaking them can result in a misdemeanor. 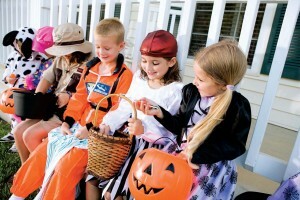 For example, in Portsmouth, trick-or-treat hours are from 6–8 p.m. on Halloween night for children ages 12 and under. Anyone over the age of 12 engaging in the activity can be charged with a class three misdemeanor unless a parent, guardian or other responsible person is in care of the child. 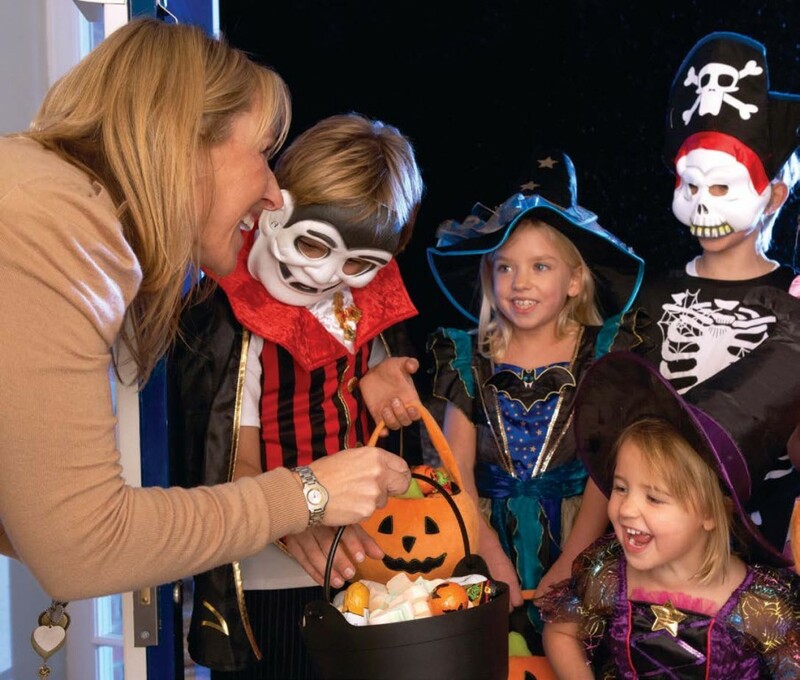 In Virginia Beach, Norfolk and Hampton, trick-or-treaters over the age of 12 or who are knocking on doors after hours can incur a fourth-class misdemeanor. In Newport News parents, guardians and older siblings are encouraged to accompany children as they make their rounds; however, they are prohibited by law from wearing a mask. In the town of Smithfield, official trick or treat hours are more or less a general guideline and public service announcement from the local police department, as opposed to a hard and fast rule. According to Alonzo Howell, deputy police chief, no one is standing on a street corner asking kids for their student identification. “The rules vary depending on the different locations, and they are loosely enforced depending on the problems the community may be having, but I can honestly say we’ve never had a problem with adults wearing masks or teens causing problems. We don’t have vandalism issues on Halloween, and it’s just a nice night for everyone to come out and enjoy the fun,” he said. Howell said Smithfield is a quaint community that holds an annual Halloween on Main Street event, in which children trick or treat local businesses, participate in a costume contest and head over to nearby Gray Street to see the decorated yards and front porches. The police have candy in their patrol cars to give out, and they regularly shut down the two roads so vehicles do not interfere with the foot traffic. “Some people around here go all out,” he said. But what about the day itself? Can a municipality shift trick-or-treating to another day if Halloween occurs on a school night, or if inclement weather threatens the fun? That was the question in 2013, when reports of high winds and severe storms from Texas to the Great Lakes caused concerned parents to flood their local leaders’ phone lines with Halloween-related inquiries. Most municipalities do not have ordinances for such a move. Toledo and Cincinnati, Ohio; and Nashville, Tenn., opted to continue with Halloween as planned. However, police departments in Winchester, Ky., and Hamilton County, Ind., encouraged neighborhoods to postpone the festivities for one night. Even communities with trick or treat ordinances, such as Hampton, do not have provisions for a date change and cannot recall a time when it has been done. “In my tenure, Hampton has not moved trick or treat based on weather. There is a nearby locality that has moved trick or treat to Saturday when Halloween falls a Sunday, but that’s the only exception I can recall,” said Hampton Communications Strategist Robin McCormick. Some entities choose to exercise little authority over the ritual of trick-or-treating and leave it up to the parents. In the case of inclement weather that can provoke mixed reactions: Do you “honor” the date, or try to make residents conform to an alternate one? The answer seems to be as varied as the communities that get trick or treated.